Last week we were invited, by the snappily-named Go to the French Pyrenees to, er, go to the French Pyrenees. So we did. Our trip was supported by the two resorts we visited, but our opinions are our own. The French Pyrenees - First Impressions! This was our first experience of the French Pyrenees. 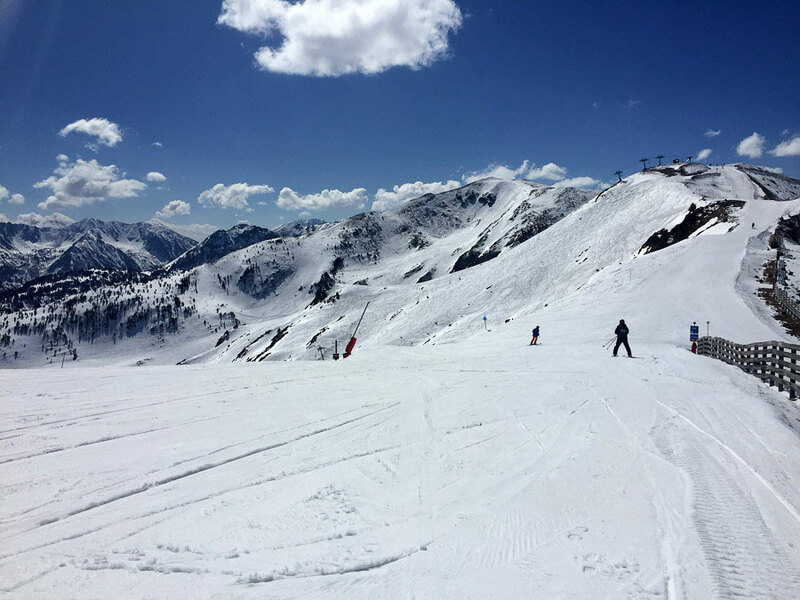 The Pyrenees have not had the big snowfalls that have fallen elsewhere this winter, but we had some great skiing on well-maintained and quiet pistes. We enjoyed good food, on and off the mountains, at prices notably lower than similar Alpine resorts. 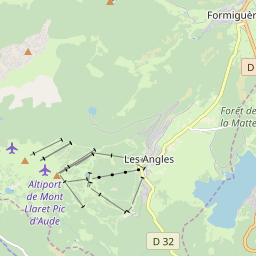 There are many ways to access the skiing in the French Pyrenees, which run along France's southern borders with Spain and Andorra, but most visitors from the UK are likely to go by air. Regular flights from various UK airports go out to convenient airports in the area, and we flew from London Gatwick to Toulouse. Flight prices generally appear to be lower than those to Alpine destinations but this does depend very much on date and time of travel. Toulouse airport is modern and efficient. We flew out on a Tuesday and back on Saturday morning - in an off-peak week - so it's difficult to judge what it would be like at other times but there were no queues of note. We drove; fast Autoroute for about the first hour south of Toulouse and then onto rural roads which were virtually empty. Total drive times will be between 75 minutes and three hours, depending on which resort you're headed to, so short breaks are easily do-able. Some of the drive down to Les Angles was spectacular, on narrow, twisty roads cut deep into impressive gorges... this was the D118 road and we'd thoroughly recommend you do this route during the day (but pick another route at night!). Glorious views are definitely a feature, here looking to the East toward Lake Matemale. 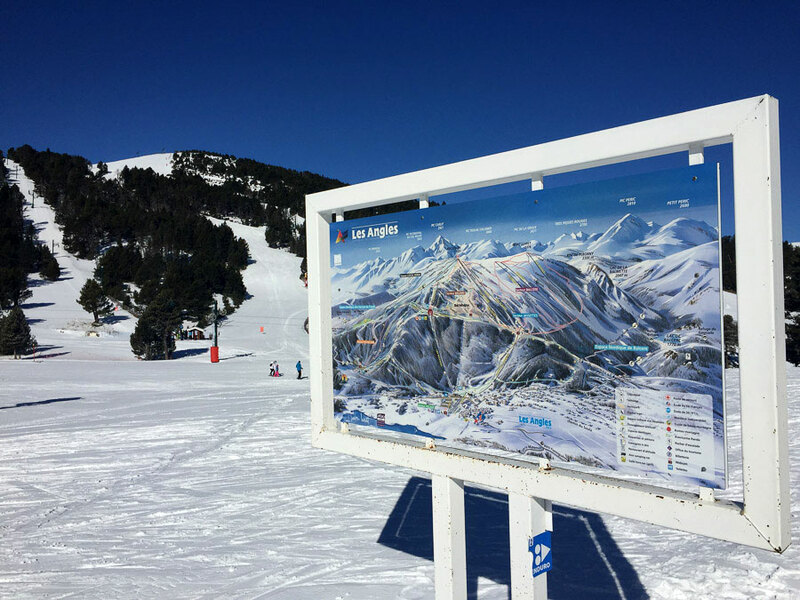 Les Angles is an old village, which - following installation of the first lift 50 years ago - has grown into a compact ski resort, in the eastern Pyrenees. The skiing is varied, with something to suit most levels. 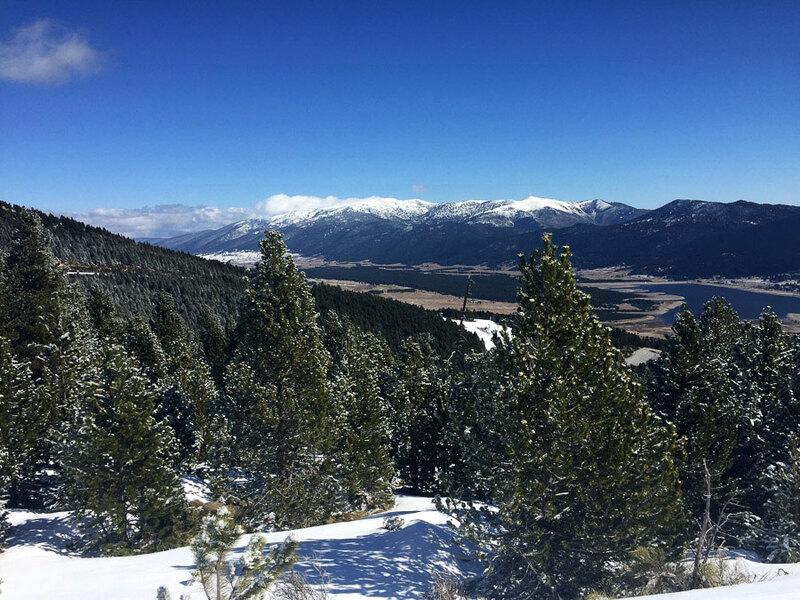 As well as nursery slopes at the base, there are some long and gentle pistes descending from the mid-mountain plateau that will be particularly appreciated by beginners and developing intermediates. Most of the ski area (70%) has snow-making and we found the pistes to be in excellent condition, even without recent fresh snow. 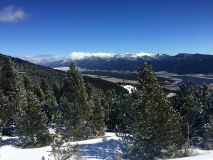 The best areas for strong skiers, Costa Verde and Balcere, were closed due to thin snow cover but look fun! 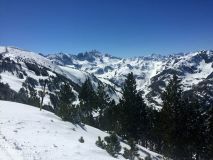 You can find out more, and check out the piste map, in J2Ski's Les Angles Ski Resort Guide or at www.lesangles.com. There's plenty to do after the skiing, with a modern spa and even a wildlife park just outside the town. We'd recommend Les Angles for families with early skiers, as a scenic stop on a road-trip or for a relaxing break. Ax les Thermes, the town, is a long-established spa resort, whilst Ax 3 Domaines is the ski area that has developed from humble beginnings in the 1950s. As the name suggests, there are three sectors to the skiing although these are inter-linked and it's easy to get around from one to another. 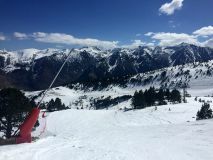 Domaine de Bonascre is primarily Blue and Green runs (including some good long trails) above and at the main resort base, where there is a large children's area. Domaine du Saquet and Domaine des Campels are both a little higher, with Blue, Red and Black runs. Lifts in the Campels area are being upgraded and the 'retro' 2-way Savis chairlift is being replaced by two modern, detachable 4-man chairs (one is complete, the other almost...). 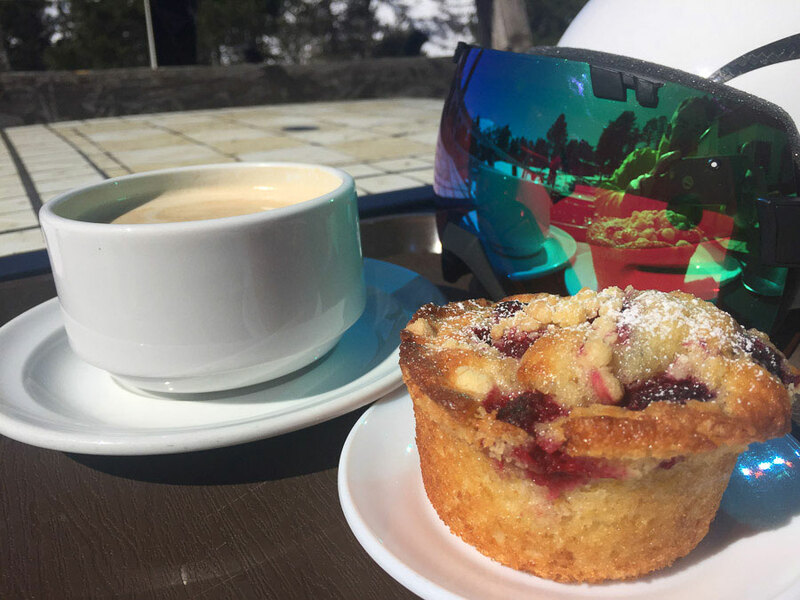 There's a good variety of skiing here, for all levels, and we were particularly struck by the off-piste and freeride possibilities; bowls, couloirs and tree runs which are easily accessed from the higher pistes and which lead safely back to the piste. 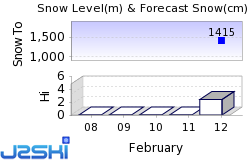 Extensive snow-making covers the lower runs, and the pistes were all in good shape. There's much more about the skiing, and a piste map, in J2Ski's Ax les Thermes Resort Guide and you can find out more at www.ax-ski.com. Five Euros for a good coffee and a big fresh cake? Yes, please! And finally, for the end of your skiing day... 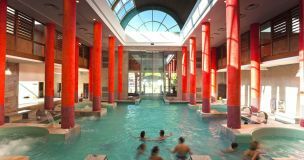 Ax les Thermes is a traditional French town blessed, as noted above, with hot springs and spa baths. There are outdoor ponds and pools, and the impressive Bains Couloubret. 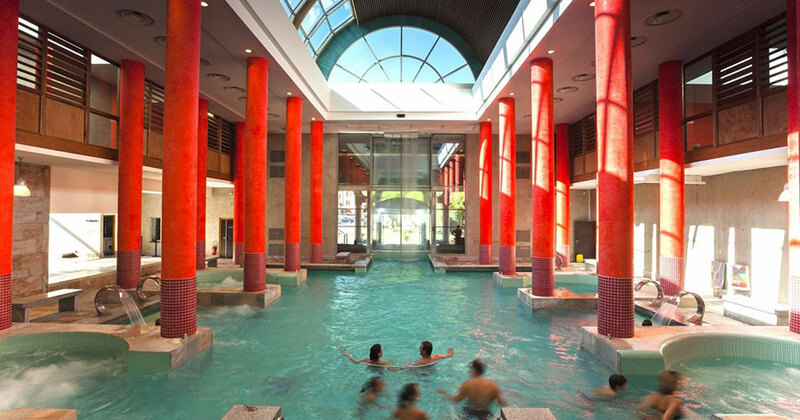 We'd recommend Ax les Thermes for families, mixed groups, solos and... Freeriders! 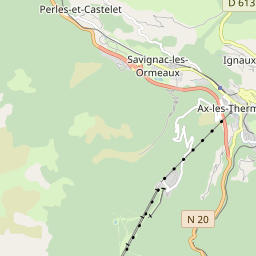 Ski Hire Shops in Ax les Thermes and Les Angles.